ABC News reported that a missing five-year-old Queensland child was found “petrified” and banging on the doors of a school bus almost five hours after she should have returned home from her first day back at school. It was the first day back at school for the 5-year old girl who had successfully caught the school bus for prep the year before. The child, who had fallen asleep during the journey and not been seen by the driver, was eventually found by a bus company employee after “hundreds” of people had been involved in an hours-long search. The bus driver had not noticed the child had not alighted at the designated stop and was still on the bus after it had been returned to the depot. A senior detective from the Logan District Child Protection and Investigation Unit expressed concerns to the ABC about how the incident had been allowed to occur. 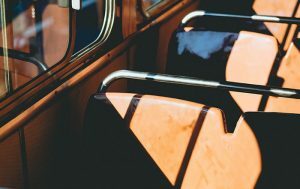 “With RollCall now available in every Australian state, there can be no reason why any bus company would not be able to assure parents and schools of their duty-of-care for school students on bus journeys – not just for daily commutes, but also sporting transfers and excursions,” said Mr Langenberg. Real the full story at ABC News online here.